Hi guys, Bima here and thank you for visiting my blog and enjoying what I share and write here. Today I still share with you about another budget hotel in Hong Kong that you can reserve for your next journey. If you just starting to explore my blog than I suggest you to see another review of budget hotel called Marrigold Hostel. 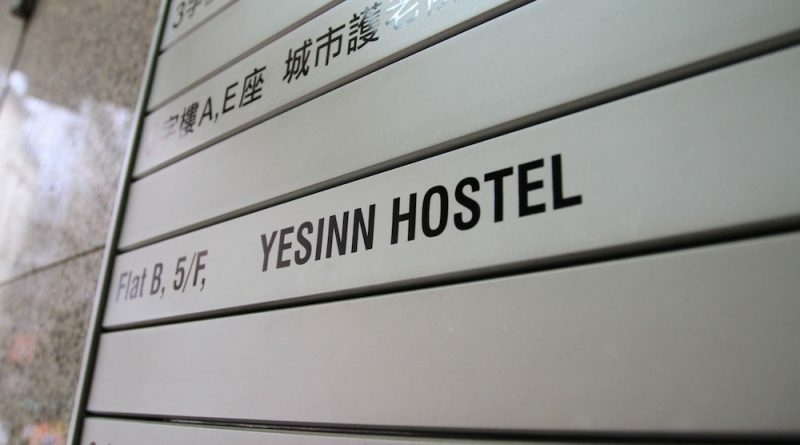 Twice being here in Hong Kong I try to explore few of accommodation so I can get experience about stay and now I would like to introduce you with one awesome hostel in Fortress Hill called Yes Inn. First of all I would like to say thank you to my wife’s ex-boss Didi Achjari who refer me this Yes Inn, couple week before I travel to Hong Kong in my very 1st time Didi went there and brought all of his student for attending some conference and yes for sure he stay in Yes Inn so that he can recommend me too to stay in. Hong Kong transportation is awesome so you can sightseeing around with the MTR subway or simply enjoying this city with an old tram that cost only HKS2 no matter where you go. Ride with a MTR is very easy just like when you ride a MRT in Singapore or subway in other countries but here you can buy an Octopus Card right after you landed in Hong Kong International Airport. Ride with a tram also amazing even don’t ever expect to get fast cause they move very slow but I can say that this is the best if you want to see the downtown in a better way. Following the transportation, I’m pretty sure that you must be curious about the food or what kind of food that you really must eat when you travel to Hong Kong, and here I’m gonna tell you about 11 Hong Kong Street Food that you can’t miss. You will get from the tasty Octopus satay with a BBQ sauce till the sweet mango ice cream for your dessert, don’t forget to get it after dinner cause all the Hong Kong people will get dessert too and this is their own tradition. When your train stop at Fortress Hill Station than go out to the King’s Rd from the exit B, turn right for 280 meter and Continental Mansion will be in your right side just next to the 7 Eleven. Check in will be in 15th floor but your room may in other floor, elevator is so tony so be careful if you travel with big luggage, I suggest you travel with a light backpack so you can move so easy. Just an info that almost all hostel’s room in Hong kong are tiny so jus prepare your self. If you expect some other budget hotel or even full service hotel around Fortress Hill, than for sure you will find it easily. Price may be vary, from USD45 to USD100 and you may check it on Hotel and Budget Accommodation in Hong Kong. During my trip to Hong Kong I also took some street photography of the city and once you love my pictures you also can buy it and use it for your blog or editorial. Please visit my online photo stock in Shutterstock.